When we think about reducing risk in the workplace, we often picture people wearing safety goggles and hard hats. While those are good practices to prevent physical injury, there are other kinds of workplace risk to deal with. Some of them involve how your fluid systems are designed, fabricated and assembled. Obviously, low-quality parts introduce one kind of risk. But even high-quality parts can cause problems if you can't get them quickly, or if the materials aren't compatible with the fluids in your system. Then there's the question of the design itself. Two designs might both get the job done, but one may have too many potential leak points or take up too much space. The risks also extend beyond the efficient operation of your fluid system. Think of the risk to your company's reputation if you can't deliver what your customers are expecting. Our six-page paper, available here as a free download, looks at these risk in detail and lays out some of the ways a company can reduce them. 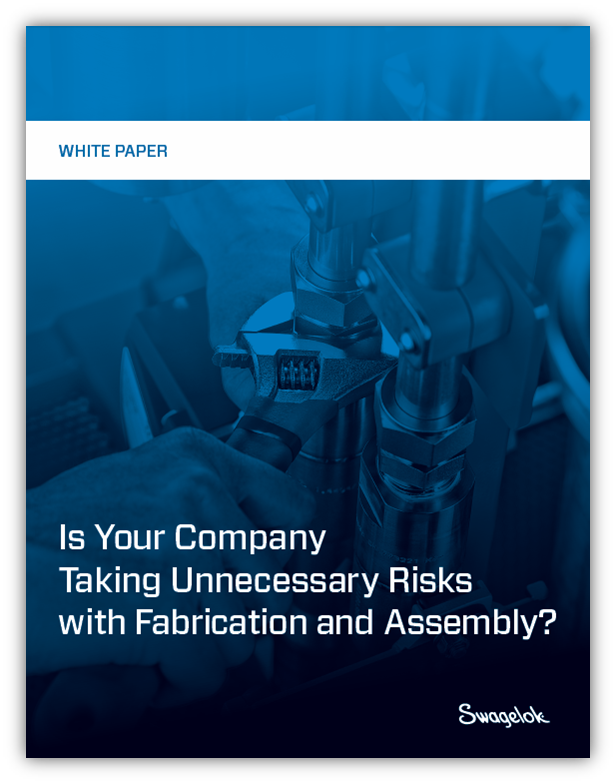 If your company rarely has to design, fabricate and assemble its own systems, this white paper will help you consider some of the less-visible challenges involved. If your company frequently designs, fabricates and assembles, this white paper can be a useful tool for improving performance. The smartest way to deal with a risk is before it blossoms into a problem. But you have to know what to look for. Download our white paper today for some insight from the experts in fluid systems.